Across the Seattle metro area, about 75 percent of home sellers have received multiple offers so far this year. That’s pushed the majority of homes to sell above their list price, and has left many buyers frustrated and shellshocked by a process that’s often swift and secretive. In today’s ultracompetitive local housing market, there are now more home-bidding wars than at any point this decade. The result? For the first time during the economic recovery, the majority of homes are selling for above the list price in Seattle and surrounding cities. 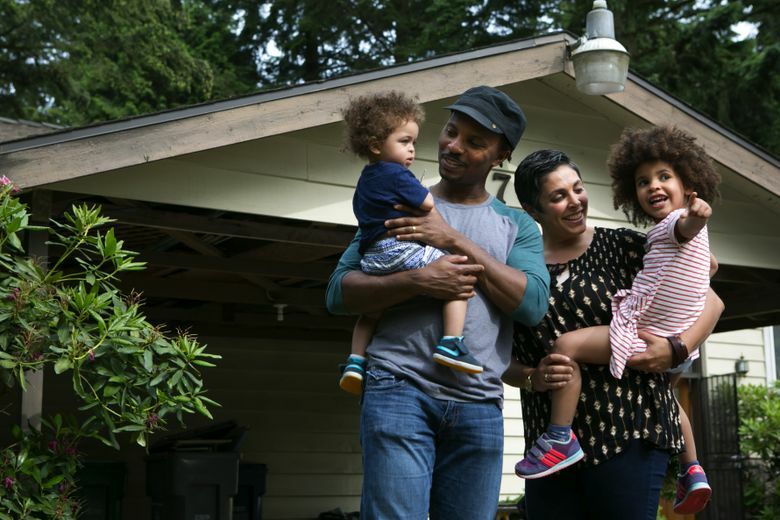 It’s an inescapable reality from West Seattle to the Eastside: A dozen or more families and investors may vie for the same house. Then an onslaught of offers pushes the bidding far above the list price, sometimes hundreds of thousands of dollars more. Whoever wins often has to plunk down huge, nonrefundable cash sums before even getting to inspect the property. The Seattle metro area now sees a higher rate of bidding wars than any other high-priced market outside of the Bay Area, and the trend is growing. Across the region, about 75 percent of homes have received multiple offers so far this year, up from 55 percent four years ago, according to Redfin. The crowd of bidders helps push prices higher: Now, 56 percent of homes sell for more than the asking price — more than double the national average and up from 26 percent in Seattle four years prior. The reason for all the high-stake auctions is simple: There are way more well-qualified buyers than homes for sale. The trend has several implications beyond the crushing toll it takes on homebuyers (and the sweet, quick profits generated for sellers). Agents are working late at night, often arranging tours and submitting bids the instant a prime home goes on the market, in an attempt to beat the expected flood of offers. The rapid nature of the auctions means buyers sometimes aren’t fully sure what they’re getting until after the deal is closed. Tapping into buyer frustration over what can be a secretive bidding process, startup businesses have even been launched to address the phenomenon, including Kirkland-based Faira, which offers transparent eBay-style online auctioning of homes. Hydrie, after looking around for a couple of years, first dipped his toe into the Seattle real-estate market last May. After putting in a bid escalating to just over $1 million for a home listed for $750,000 in Queen Anne, he received a shock — he still lost by several hundred thousand dollars. He then lost a second auction because someone making a comparable bid included a $200,000 nonrefundable cash deposit that he thought was too risky to beat. Later, he set his sights on a Green Lake house listed for $850,000, and wound up competing with six other buyers. He got the house for $1.031 million — but only after begrudgingly agreeing to the seller’s demands to close within a week with a $300,000 nonrefundable deposit. Bidding wars have always been around, but now it’s becoming harder to avoid them in Seattle, where every single neighborhood has seen a majority of its homes attract multiple offers so far this year, according to Redfin. 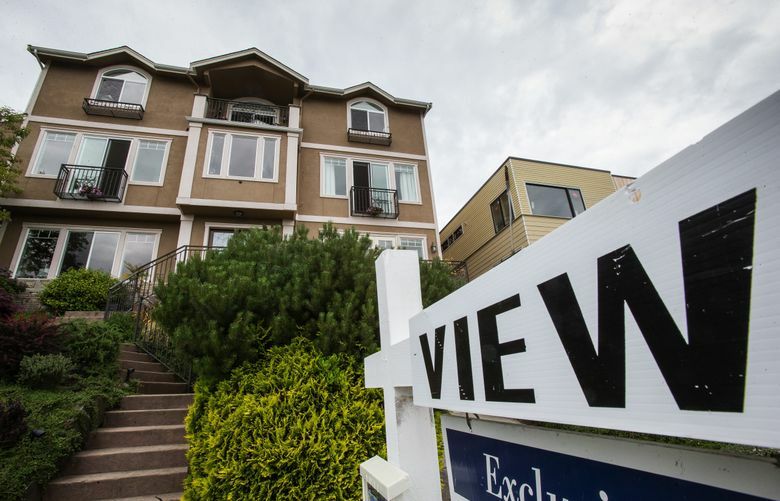 Some Seattle neighborhoods — including Fremont, Phinney Ridge, Wedgwood, West Seattle and the University District — have seen bidding wars for at least 90 percent of homes sold this year. The same is true in some other spots across the region: northeast and north central Bellevue, north Kirkland and Kenmore. Bidding is much less fierce in some areas, though. There were 10 neighborhoods in the broader metro area where the majority of homes got only one offer, with Arlington, Monroe and Stanwood in Snohomish County at the bottom of the list. Nara Neves and her family lost multiple bidding wars last year while trying to move from Capitol Hill to Queen Anne. They grew increasingly frustrated in part because it was unclear how much money they were losing by. On one house, they later found out they had lost to a slightly smaller bid because the other buyer offered a huge cash deposit, and they weren’t given the chance to counter. A year and a half into their search, “drained, angry and ready to get it over with,” they finally bought a house, Neves said. They succeeded only after going above the list price, raising their offer again, releasing an immediate cash deposit and writing a letter to the sellers about why they wanted their kids to grow up in that neighborhood. But she saw both sides of the issue. They sold their old home for slightly above asking price after getting multiple bids. Even though they benefitted financially, she felt “heartbroken” for rejecting other qualified families who were going through the same difficult search they were. One startling aspect of the rise in bidding wars is how fast a home sweepstakes can unfold. Buyers often have to decide right after their initial tour whether to submit an offer, perhaps without an inspection first — or even without seeing the home in person, if they’re coming from outside the region. The median Seattle-area home now sells in just eight days — five times faster than the national average, and six times faster than the typical Seattle home in 2012, according to Redfin. It’s the one area where Seattle even beats San Francisco, the national king of real-estate craziness: Seattle homes now sell twice as quickly as those in the City by the Bay. Many high-cost areas are experiencing a similar phenomenon. While the Bay Area still has the most bidding wars, Seattle is just behind it. The region is ahead of competing tech-heavy cities such as Los Angeles, Portland, Denver, Austin and Boston. Both figures — the rate of bidding wars and homes selling above list — are records for Seattle since Redfin began tracking the data in 2009. But it’s unclear how they compare to the housing price boom in the middle of the last decade, before the recession hit. And there are signs we haven’t seen the worst of it. While bidding wars typically have peaked in the spring across Seattle, the rate of houses selling for above list price typically doesn’t reach a high point until the summertime. There are companies popping up to help. At Faira, the founders went through frustrating bidding wars themselves and wanted to open up the opaque process by posting bids publicly online. That way rebuffed bidders would know whether they lost a house by $10,000 or $100,000. Still, the public bids are only posted for the small number of people listing their homes with the company — auctions on other houses will still generally happen in the dark. Despite all the competition, most would-be homebuyers do indeed wind up getting a house — even if it’s taking longer than it used to.